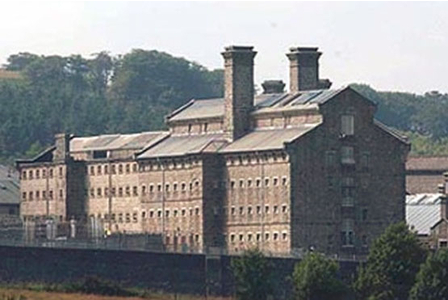 The British Gazette » UK Prison capacity: Matching resources with demand. One of the most basic aspects of running any organisation, be it a family, a business, a council or a country is to match resources to demand. Doing this in relation to prison capacity is one of the most difficult of tasks that western democracies have to do. Essentially, the democratic process itself is to use the popular phrase, part of the problem, not part of the solution. This is seen at its most extreme form in the USA. U.S. state and federal prisons held an estimated 1,574,700 inmates on December 31, 2013, an increase of 4,300 prisoners over yearend 2012, the Justice Department’s Bureau of Justice Statistics (BJS) announced on 16th September 2014. Both in terms raw numbers and by percentage of the population, the United States has the most prisoners of any developed country in the world and it has the largest total prison population of any nation. The UK has problems but these are not as extreme as the USA. UK Prison population: November 2014. The problem these two countries face is that in both cases the populations (voters) expect that most of those convicted of criminal offences should be sent to prison. It also the case that many voters feel that when a criminal is handed say a 14 month prison sentence then 14 months is what they should serve. In response to arguments that early release is for “good behaviour” many would retort that they would wish to see time added for “bad behaviour” instead. It is to be noted that UKIP has adopted these ideas. This is clearly designed to attract votes. Nigel Farage clearly hopes to gain from this, but then he knows that in May 2015, UKIP is not going to form a majority government and if the polls are anything to go by, Ms Sturgeon is not going to support any Tory/UKIP coalition. All MPs know that whilst a new hospital or a new school will be welcomed by their constituents, their post bags and inbox will overflow with protests against any proposal for a new prison. With the size of the budget deficit, the UK cannot afford a large prison building programme. This means that some control must be taken over who does and who does not end up in prison. At the moment, this is up to the judges. These people refuse to consider the resource implications of their sentencing. That they say is the task for government: to provide the necessary resources. It is the opinion of the British Gazette that given the dire financial position of the UK, this freedom given to the judges can no longer be tolerated. Some control MUST be exercised. What is clear is that for the most part those criminals who pose a threat to public safety or order are the ones who should be in prison. Here are two offenders that the British Gazette feels should not be incarcerated as locking these two up is a luxury the country cannot afford.